We offer a professional, reliable one stop shop for all your First Aid and Health and Safety Training. 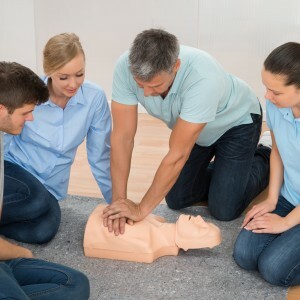 In addition to our Open courses, we offer a range of first aid and health and safety courses which can be delivered at your workplace on request. Our on-site courses are available 7 days a week, across the UK to fit around your workforce. With our wide range of e-learning courses employees can work at their own pace at any time they choose. Our qualified trainer will come to your workplace and deliver a training session aimed at recognising and reducing the risk of illness or injury from badly designed workstations. Comprehensive Health and safety training for staff working at supervisory or management level. Suitable for employees working in any sector or industry.